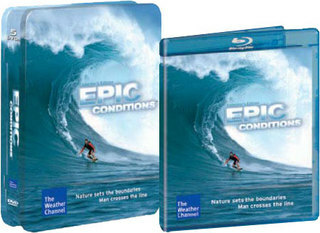 Madacy Entertainment and The Weather Channel will release Epic Conditions, on both DVD and Blu-ray Disc format. The Blu-ray version will be released on May 13th while the DVD version will have to wait until August 5th. The Epic Conditions Blu-ray versions will contain 15 episodes of The Weather Channel series, running 575 minutes and presented in Widescreen. The show’s premise it to spotlight athletes testing their skills in the ideal weather conditions for their sports. As a bonus, all 10 episodes of The Weather Channel’s Weather Ventures program will be included. Fox Home Entertainment have announced that they will release Meet the Spartans on Blu-ray Disc on Jun 3, 2008. A spoof comedy by the team that brought you Date Movie and Epic Movie, Meet the Spartans primarily targets 300 as it follows the journey of Leonidas, the King of Sparta. When his kingdom is challenged by the powerful Xerxes, Leonidas must recruit some of his strongest soldiers; which unfortunately leaves him with 13 (not 300) of the not-so-finest. Other characters spoofed include Ghost Rider, Transformers, Spider-Man 3 and James Bond. The disc will be presented on a 25GB single-layer disc authored in BD-J with AVC (MPEG 4) compression with English 5.1 DTS HD Lossless Master Audio and Spanish / French Dolby Surround. During an interview with John Latchem of Home Media Magazine, Sofia Chang, Senior Vice President of Marketing for HBO Video confirmed that a Blu-ray version of Tom Hanks’ Band of Brothers mini-series is in the works and will be released later this year. Band of Brothers was previously available on HD DVD so getting a Blu-ray version together shouldn’t be much work on HBO’s behalf. For the first time in quite a while, Blu-ray Discs have taken all 10 spots. Will Smith’s I Am Legend easily takes the number two spot, followed by Disney’s Enchanted (read our review). 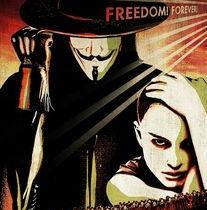 Warner Home Video today announced that The Bucket List and V for Vendetta will be released on Blu-ray. On May 20th, Blu-ray player owners will be treated to The Wachowski’s V for Vendetta while The Bucket List will have to wait until June 10th. Still no news on the Wachowski’s Matrix trilogy. Extras on the The Bucket List Blu-ray include “Writing the Bucket List”, a John Mayer music video, interviews with the stars, interactive trivia and more. Extras for the V for Vendetta Blu-ray haven’t been announced but it’s safe to assume that the following features that were part of the HD DVD version will be included in the Blu-ray version. Those features included commentary, four featurettes, the Saturday Night Live digital short, Cat Power montage, and theatrical trailers. The cult classic Point Break is heading to a Blu-ray player near you on July 1, 2008. 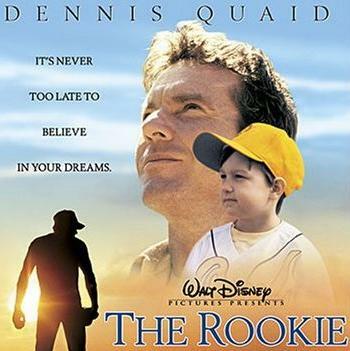 The movie, starring Keanu Reeves and Patrick Swayze was a modest hit during its 1991 theatrical release (pulling in $80 million worldwide) but gained an incredible amount of fans with its DVD release. 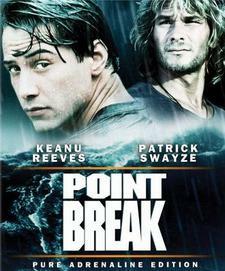 In fact, Point Break is one of Fox’s biggest catalog sellers. The Blu-ray version will include the same extras found on the DVD edition released in 2006, including four making-of featurettes, eight deleted scenes and a photo gallery. Twentieth Century Fox Home Entertainment and Spyglass Entertainment have announced that April 29th is when 27 Dresses will be released on DVD and Blu-ray Disc. 27 Dresses stars Emmy Award-winner Katherine Heigl as Jane, an idealistic romantic who always puts others before herself… and she’s got 27 dresses to prove it. However, as Jane’s worst nightmare unfolds before for her eyes, she begins to re-evaluate her “always a bridesmaid” lifestyle and finally puts herself first in line for love. From the screenwriter of The Devil Wears Prada, 27 Dresses also stars James Marsden, Edward Burns, Malin Akerman and Judy Greer and is directed by Anne Fletcher. 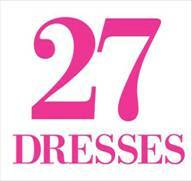 Blu-Ray Disc Specs: The 27 Dresses BD release will be authored in BD-Java with AVC (MPEG 4 compression) on a dual-layer 50 GB disc with English 5.1 DTS HD Lossless Master Audio and French Dolby Surround, along with Spanish, Cantonese, Korean, Mandarin and French subtitles.